We are the moving and storage company that wants to congratulate you on your new house, help welcome you into it and wish you all the best with making it your home. Working with local business and communities, our customers are our neighbors and friends. The majority of our business comes from referrals and repeat-customers, which have been kind enough to give us a rating of ★★★★★ We’re family operated which allows us to do business without the expense of corporate overhead. We invest our revenue into developing professionally trained, well-experienced team members as well as maintaining high standards in our fleet of moving trucks and equipment. Our moving team is dedicated to working with you personally. 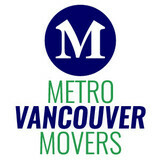 Metro Vancouver Movers is a leading moving company in Vancouver and the Lower Mainland. Highly Rated, Efficient, Cost Effective Moves! 604 970 2233. Since 2006, Paul’s Moving and Labour Services has been your number one source for professional movers at a great price. Our Chilliwack, BC, Mission, BC and Abbotsford, BC locations proudly serve the entire Fraser Valley, Vancouver, Vancouver Island and all surrounding areas. We also do moves to and from the Interior BC and gladly provide a full in home estimate on ANY long distance move. We take pride in every move and make it a point to serve each client with the same high level of integrity that we’ve become known for since our inception. Our movers are all trained to wrap, pack, and handle all your belongings with the utmost of care. Entrust even your most prized possessions to us and they’ll make it from point A to point B intact and undisturbed. We’re here to ensure that your move– whether it’s across the street, across town, or across the province– is one that is stress free and easy. Movers Abbotsford BCPaul’s Moving and Labour Services is more than just an experienced moving company. We’re also happy to showcase our expert packing and Labour Services. We do packs and moves to and from storage facilities and we’ll even assist in moving heavy furniture in and around your home. We’re here to help customers streamline ALL their Moving and Labour needs. We sell Bed Bags, Tape, Packing Paper, and sell or rent Boxes, Wardrobe Boxes, Picture Boxes, Dish Boxes and any other necessary moving supplies you may need. Above all we could even arrange to come out and pack your entire home for you. Included in our moving service are the use of 2 Wardrobe Boxes*, including all the necessary pads, tape, shrink wrap, and other tools or materials required, to help wrap and prepare all your furniture on moving day as a part of our service! At no extra charge! Full Service Moving & Storage and Corporate Relocation business. Provides industry leading customer service regardless if you're moving across the street or around the world. BC's Best Move prides itself on being the go-to choice for clients looking for Residential Moving, Office Moving and Packing Supplies services. Moving can be a confusing and difficult process, but Good Place Moving is here to do the hard work for you. We are movers with over 10 years of experience serving customers in Abbotsford BC and its surrounding areas. We are local moving company in Burnaby specializing in residential moving. Our goal is - to move you safely and efficiently. Our careful and experienced movers in Burnaby will save you money and make your move easy. We service all locations from Vancouver to Chilliwack. Call us today for your free estimate. Signature Moving - Movers Burnaby offers state to state movers as well as long distance moving. From difficult moving and packing company solutions like moving to minor services such as long distance moving, Signature Moving - Movers Burnaby has the answers. Signature Moving - Movers Burnaby's most sought-after services are furniture movers, moving company, and . Other than the cost-effective moving solutions they offer, Signature Moving - Movers Burnaby also has furniture movers, moving company, and furniture assembly. Since 1927, Tippet-Richardson has been moving families and their treasured belongings throughout Canada, the United States and all over the world. We meet the challenge of every new move with over 90 years of experience, the newest technologies and a team of dedicated experts. From the first consultation and planning session to packing, loading and delivery, each move is designed around the specific needs of the customer. With locations in Vancouver, Calgary, and Ottawa, you can feel confident choosing one of Canada's oldest and most trusted moving companies - the friendly movers since 1927. Specializing in local, long distance, cross border and international moves. Our movers take pride in their work. We are focused on quality, not the quantity and your total satisfaction is very important to us. Our goal is – to move you safely and efficiently. We offer a wide variety of moving services. Whether it be a single item, house move, condo or apartment move – Signature Moving Company – is truly your best choice. At Affordable Movers, quality and integrity is extremely important and is never compromised. These same principles have held true since the company first opened its doors and will stand strong into the future. Address : #100C - 1160 Douglas Road, Burnaby, BC V5C 4Z6, Canada Top Burnaby moving company. Specializes in residential moving, commercial or office relocations and long distance moving. As a long distance moving company, they take great care with your belongings and ensure everything arrives safe and sound. 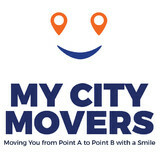 As a local Burnaby mover, they service the Greater Vancouver area, lower mainland and Fraser Valley. Relocating to a new house is stressful enough without having to worry about the logistics of an entire move. So when it comes to the heavy-lifting (literally), leave it to the professionals — professional movers, that is. Experienced Chilliwack, BC moving companies consist of expert movers and packers who can efficiently pack, move and assemble your Chilliwack belongings to ensure that you get off to a good start in your new home!